Should you be considering your marketing plans and find yourself looking for an easy, painless and reasonably priced method of producing durable display material in a professional manner; you would be well-advised to examine the benefits and relative low cost of pouch lamination. Some uses that many business owners (large and small) have found effective include: bookmarks, placemats, counter mats, luggage tags, coasters, mouse pads and on and on. As you can see, the uses are limited only by your imagination. 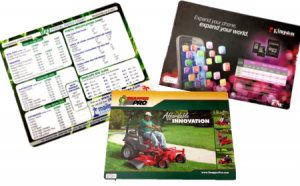 A pouch laminator is relatively cheap, easy to use and can actually save you money by producing marketing material that you would normally purchase from another business. And – no waiting time for your material, wait time which can be easily doubled if you have changes you want to make. (To say nothing of what changes do to the cost). Today’s consumers are inundated with simple paper advertising and more often than not will toss it in the trash rather quickly. They are, however, reluctant to throw anything away that they feel has some lasting value. Pouch lamination can achieve this easily, especially if they have use for it. Take the example of a family with three small children – throw out placemats that can be easily wiped clean and put away? Not likely. Not looking for a way to market you product or service? Pouch lamination is an excellent way to deal with operational requirements that require something longer-lasting than a piece of paper. Consider – phone Lists, ID Cards, notifications, standards communications, instructions, important operational dates (e.g. monthly cutoff), lists of all sorts, staff communications, machine operation instructions – again, this is limited only by your need and imagination. Employees appreciate a pre-prepared list of instructions and love having something they can refer to time after time. A simple piece of paper will deteriorate and get tossed before long. A laminated set of instructions gets placed where they can easily refer to it. As well, they tend to respect a sign telling them to “Please make sure the lights are turned off before leaving the office for the night”. Compare the laminated version with a handwritten note duct taped above the light switch. No comparison! Especially if it is signed “Management”! 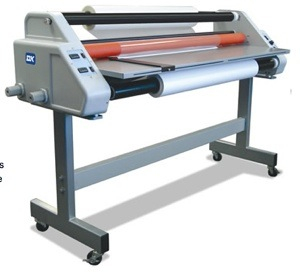 Akiles Prolam APL 100 4″ Pouch Laminator. Concerned about all the different sizes of your intended use? Not a problem – pouch lamination comes in multiple sizes that are pre-cut to suit your needs.